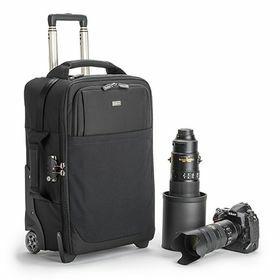 Bring two DSLRs with attached lenses, two to four extra lenses, related accessories, and an up to 15" laptop and 10" tablet on your next plane trip with the black Airport Security V3.0 Carry On from Think Tank. This sturdy rolling case is designed to meet most USA domestic and most international airline carry-on requirements. Of course, it's always prudent to check with your carrier prior to departure. Interior padded, touch-fastening dividers are useful for protecting and organizing gear. The front of the case has an expandable dedicated laptop and tablet compartment with an organizer panel and zip pocket. 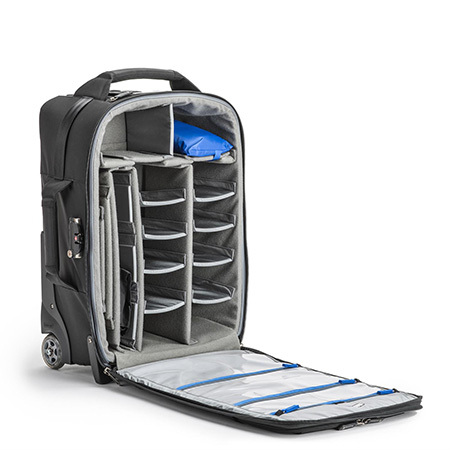 And located inside underneath the lid are a variety of zippered accessory pockets. 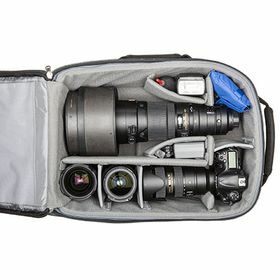 For easy access, the spacious main compartment unzips on three sides. 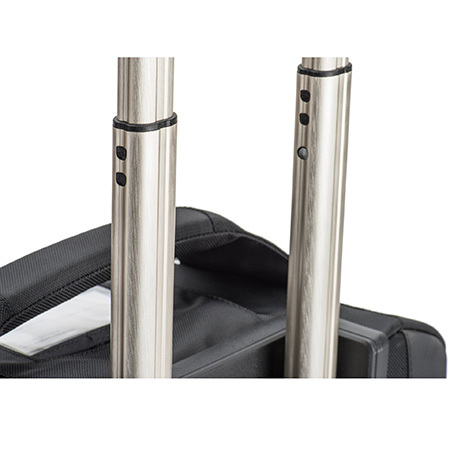 One great feature is the stretchable front pocket that serves as a catchall for magazines, small reflectors, and more.